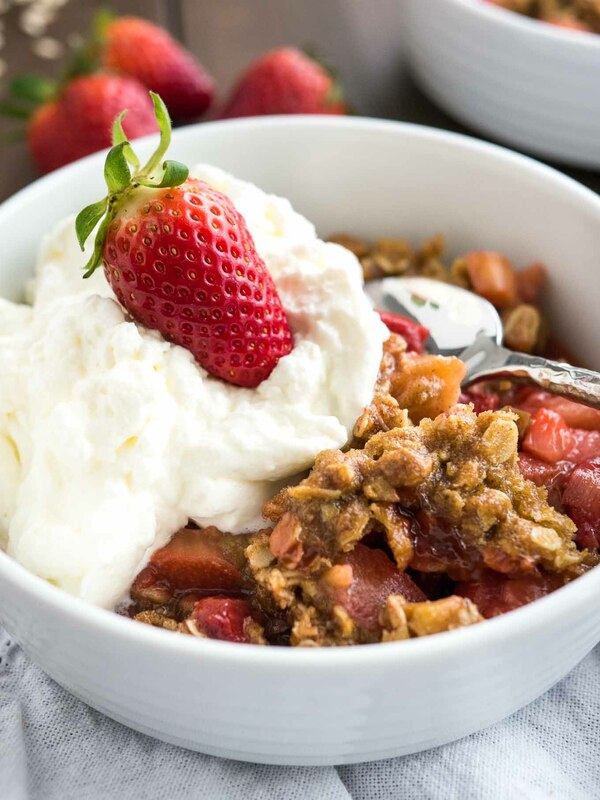 Easy Strawberry Rhubarb Crisp is the perfect summer dessert! Easier to make than pie and prepped in just minutes. 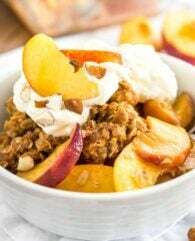 A delicious treat made with juicy fruit and topped with a crunchy oatmeal streusel that will be your new favorite summer dessert! 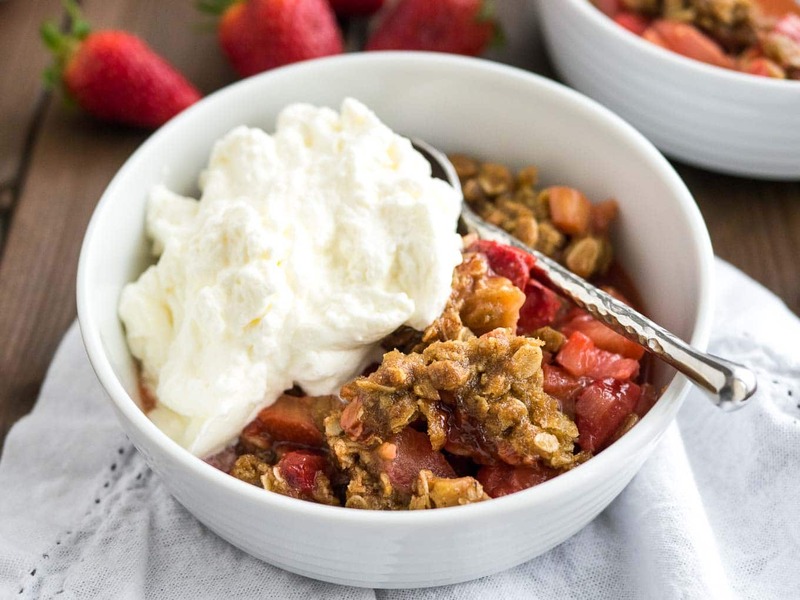 Easy Strawberry Rhubarb Crisp topped with a scoop of ice cream is the perfect ending for every summer meal. This easy dessert will be a hit at your next BBQ, summer party, or get-together with friends and neighbors! You know I love strawberries! Last week I shared this amazing homemade Strawberry Cake recipe that is made with fluffy vanilla cake and strawberry buttercream but this week I wanted to share one of my favorite EASY summer desserts with you. 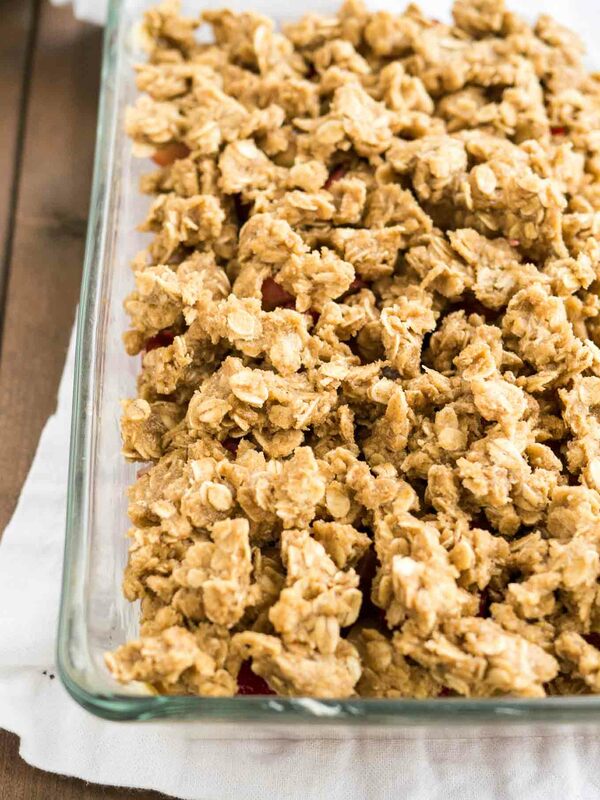 This rhubarb strawberry crisp tastes so good and is super easy to make from scratch! Rhubarb might not be everyone’s favorite but I promise even people who don’t like rhubarb will love this crisp recipe! Did you know that rhubarb is technically a vegetable? But cooked down with a bit of sugar it becomes sweet with only a little bit of tartness left. When I was little my grandmother had a big rhubarb plant in her garden. I grew up with rhubarb cake and rhubarb compote. Rhubarb on its own can taste a bit tart that’s why I love to combine it with a sweet component like berries. 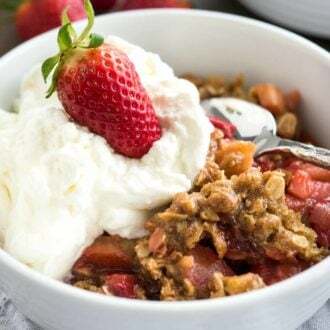 This Strawberry Rhubarb Crisp is definitely one of the easiest and best desserts you can make with rhubarb! It’s perfect for a warm spring or summer night served warm with a scoop of ice cream. And the leftovers make a great breakfast! Dessert for breakfast? Yes, please! Just take a look at the crunchy streusel on top! Doesn’t that look AMAZING! 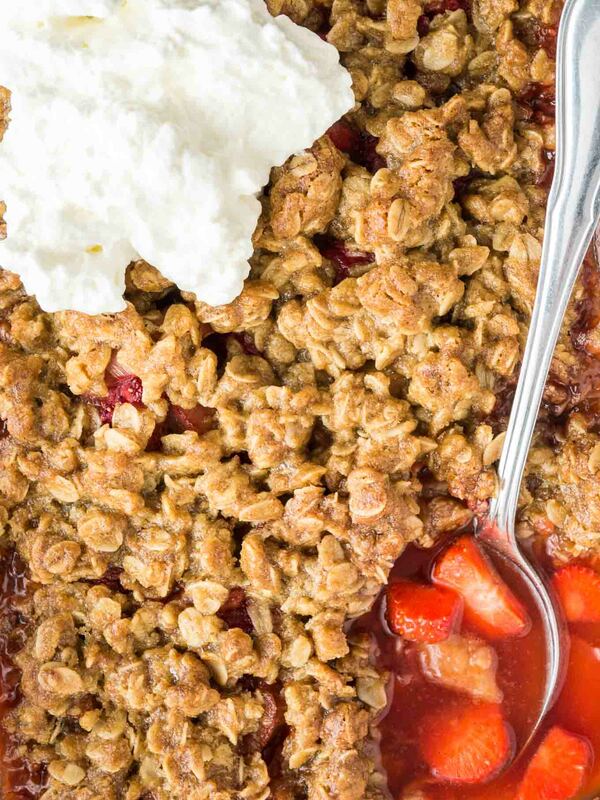 This Strawberry Rhubarb Crisp is sure to be your favorite summer dessert. You can make this crisp in your favorite baking pan, a pie dish, an oven-proof skillet or even in little ramekins to make individual crisps. Lightly grease your baking dish and add the fruit mixture. The rhubarb and strawberry slices are combined with sugar, cornstarch to soak up some of the juices, and vanilla. Vanilla goes perfectly with the sweet strawberries and the tart rhubarb. In another bowl make the streusel topping. This topping is made with old fashioned oats for a bit of extra crunch, brown sugar, butter and a bit of cinnamon. Because I use softened butter instead of cold butter for the streusel the mixture won’t be dry and crumbly it will be more like a cookie dough after you combined all the ingredients. This makes a deliciously thick and crunchy topping that will stay crisp after baking, even after a few hours in the fridge! I wouldn’t advise increasing the amount of strawberries in this recipe even if it is tempting. Strawberries release a lot of juice so your crisp might get a bit more liquidy. If you use a shallow baking dish place it on top of a foil-lined baking sheet to catch any spills. This makes cleaning up easier! You can use frozen strawberries (or a mixture of berries) for this recipe. No need to defrost them. : I love this knife. My husband bought it for my birthday a few years ago and it’s still sharp and cuts everything. This knife has a great size and will make slicing, dicing, and chopping so easy and effortless. This little tool makes hulling strawberries super easy and it’s save for kids. It works best on medium and larger strawberries. 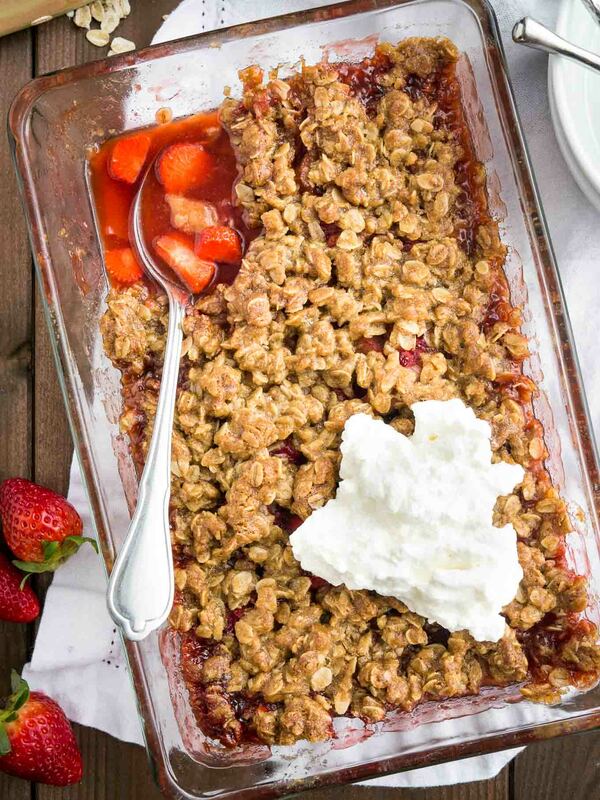 This easy Strawberry Rhubarb Crisp is the perfect summer dessert! Easier to make than pie and prepped in just minutes. In a large bowl, combine cornstarch and sugars. 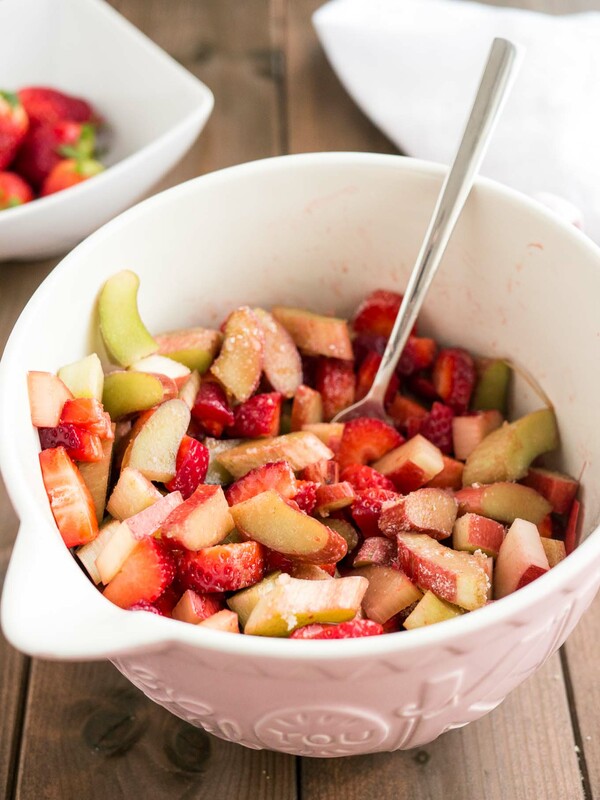 Add rhubarb slices, strawberry slices, and vanilla extract. Toss to coat. Can you use frozen rhubarb ? Very hard to find fresh in winter in MN ! Yes you can but the cooking time might be longer and there might be more liquid. This was the first Pinterest recipe I ever decided to try, and the family loved it! When my mom decided to come into town, I told her to bring the rhubarb so we could make this, and it turned out great! 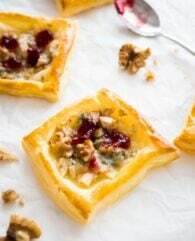 SO easy to make — which is perfect for a non-baker like me! This is the first recipe I decided to try off of Pinterest, and I loved it! My mom is a huge fan of rhubarb, and when she said she was coming into town, she was excited to bring some of her rhubarb along to make this delicious dessert! I just made this. It is the best rhubarb strawberry crisp I’ve ever eaten. Yes, I think they would make the dish runny. I tried making this crisp in a cast iron skillet but would not do it again. I felt the taste of metal leached into the sauce. I ended up only eating the middle and throwing out all the bits near the edges of the pan. Will try again in ceramic coated baking dish and I anticipate it will be great! What about using pie filling instead of the strawberry rhubarb part of the recipe? I have a can of strawberry rhubarb pie filling I’m not using for anything. AND I have a cast iron skillet I’d love to use for this. Granted it won’t be as fresh as using fresh ingredients but it’ll save me from having to do a rhubarb hunt.. Yes, you could use the can of pie filling and just make the topping from scratch. I would probably reduce the baking time to 25-30 minutes and take the crisp out of the oven when the topping is crispy and golden. I’m going to make this recipe for Thanksgiving dessert. Would like to make it the night before. 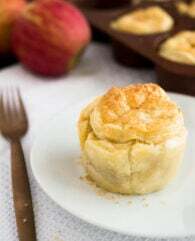 Would you suggest making the topping and the filling (ahead of time) and keeping them refrigerated separately until ready to heat? Easiest and best tasting of all the recipes! We love this one….